Burlington - Beatrice Allen Enoch, 91, was a loving mother who will leave a legacy of worthwhile examples for us to emulate. After years of dealing with Alzheimer she passed peacefully into heaven with our Lord and Savior on April 3, 2019 at the Hospice Home. Beatrice was born on September 11, 1927 in Caswell County. She was the fifth child of the late John Allen and Myrtle Haith Allen. In 1947 Beatrice married the love of her life, Arthur Enoch, Sr., who preceded her in death along with a son, Terry Lee Enoch. Beatrice was educated in the Alamance County School System. In her early years she worked on the farm with her family and her adult years she worked in different textile mills. She retired in 1996 from Torque Elastic. 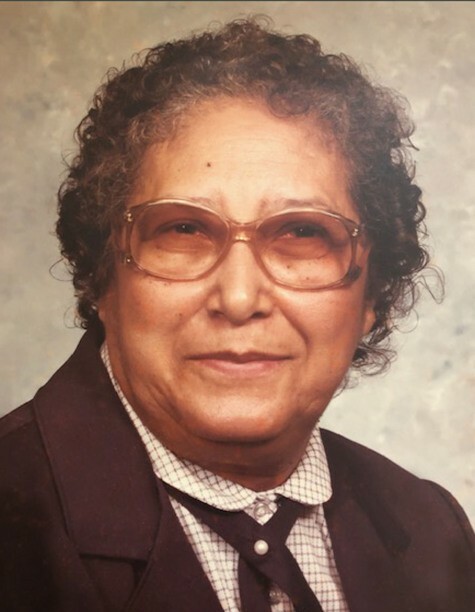 Beatrice was a member and Mother of the Church of Grace Fellowship Church. She is survived by her children, Doris (John) Brincefield, Arthur Enoch, Jr. (late Karen), Beverly (Troy) Slade, Cherry (Tyrone) Faucette, Carol Denise Enoch; twelve grandchildren, seventeen great grandchildren,one great great grandchild; sisters-in-law, Virginia Allen, Julia Ann Allen and Celestyne Allen; and numerous nieces, nephews, other relatives and friends. She was preceded in death by her husband, Arthur Enoch, Sr.; a son, Terry Lee Enoch; parents, John and Myrtle Allen; two sisters, Annie Mae Harvey and Kitty Paul; seven brothers, John Henry Allen, Grover Allen, L.J. Allen, Rudy Allen, Chester Allen, George Allen and Frank Allen; and a daughter-in-law, Karen Enoch. The funeral services will be held at 1:00pm Tuesday, April 9, 2019 in the Lowe Funeral Home Chapel with Rev.Clay Barrow officiating. Interment will follow in North Lawn Cemetery. The family will receive friends from 5-7pm Monday, April 8, 2019 at Lowe Funeral Home & Crematory.